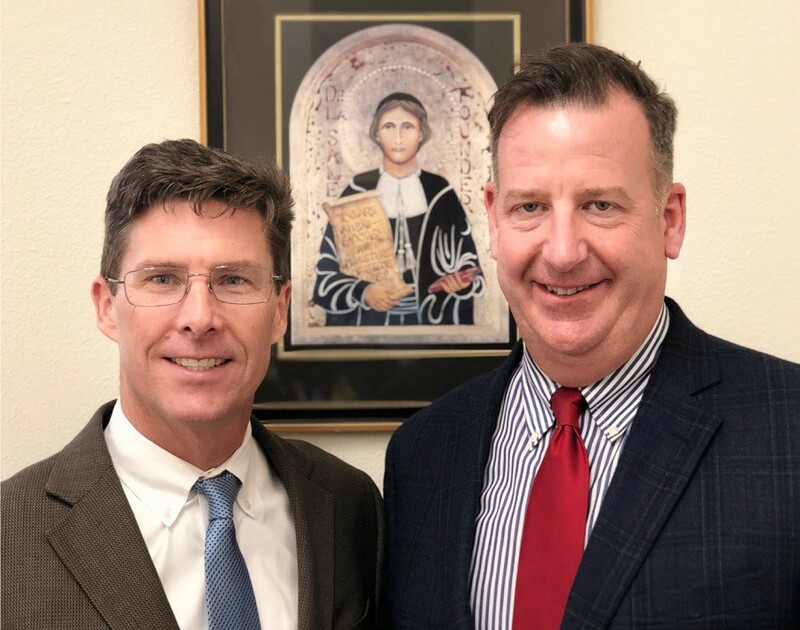 The Board of Trustees of Cristo Rey De La Salle East Bay High School (CRDLS) in Oakland, California has appointed long time Lasallian education leader Matt Powell as the school’s interim President, effective immediately. The announcement was made on February 2 by Board Chairperson William Rauch. Powell succeeds Mike Anderer, who is stepping down after serving since July, 2017 as the school’s founding President. Powell and Anderer, together with the school’s leadership team, are collaborating to facilitate the leadership transition. Powell will assume his new role while on leave from his position as Executive Director of the Lasallian Christian Brothers Foundation (LCBF), which he joined in 2014. Previously, he served for 14 years as founding Principal and then as President of De La Salle North Catholic High School in Portland, Oregon. Before that, he was a teacher and administrator at La Salle Catholic College Preparatory in Milwaukie, Oregon. Powell also has served as Interim President at San Miguel High School in Tucson, Arizona (a Cristo Rey School), as well as Interim President in a return stint to De La Salle North Catholic High School. In addition, for eight years he was a member of the national Board of the Cristo Rey Network. Powell will serve as Cristo Rey De La Salle East Bay High School’s interim President until the Board of Trustees names the school’s permanent president. According to Rauch, the search to fill the position will begin immediately. Read the Board of Trustees’ announcement to the Cristo Rey De La Salle community. Read Mike Anderer’s letter to the Cristo Rey De La Salle community. Read Cristo Rey De La Salle East Bay High School’s website announcement.